The Torch is a dense little thing. 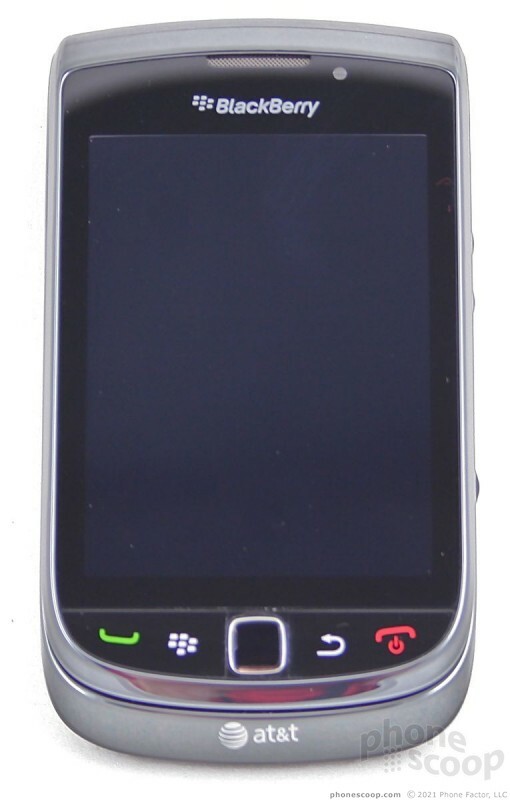 It is about the size of an 8500-series BlackBerry Curve, though slightly thicker and definitely heavier. All the edges are rounded and it has a comfortable feel. When in your hand, most of the surfaces your skin contacts are rubber or plastic. The battery cover has a grippy, ribbed design that plants it firmly in your palm. Given the small footprint, it will easily slip into a pocket, and be just as easily retrieved. Most of the front surface is consumed by the display. Just below the display are the standard set of BlackBerry controls: Send key, BlackBerry key, optical track pad, Back key and End/Power key. The keys are smaller on the Torch than on other BlackBerries, and don't have defined edges. 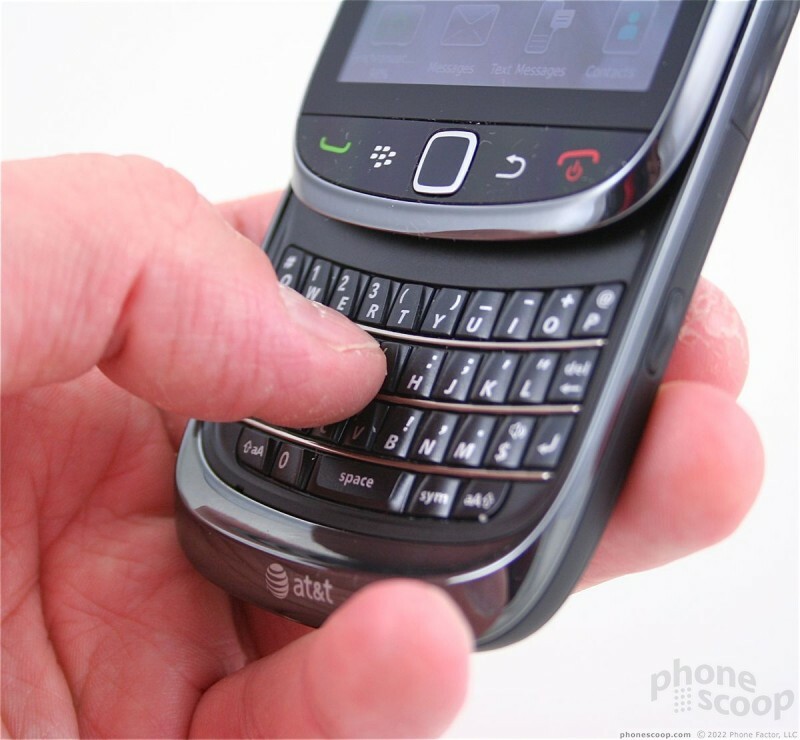 It's possible to accidentally press the Send key when you mean the BlackBerry key, for example. The track pad itself is small, almost too small, though on a touch device it is somewhat superfluous. These buttons all have good travel and feedback, though. The microUSB port is on the left side of the Torch, all by itself. Looking for the volume toggle and other controls? They are all on the right side of the phone. The user-assignable convenience key is closest to the bottom of the Torch. Its default action is for the camera, and it is a two-stage button. Both stages are clearly defined. Travel and feedback are good. The volume buttons are above the camera key. They are protected by rubber, but easy to find and use. The 3.5mm headset jack is closest to the top, and works with most normal stereo headphones. 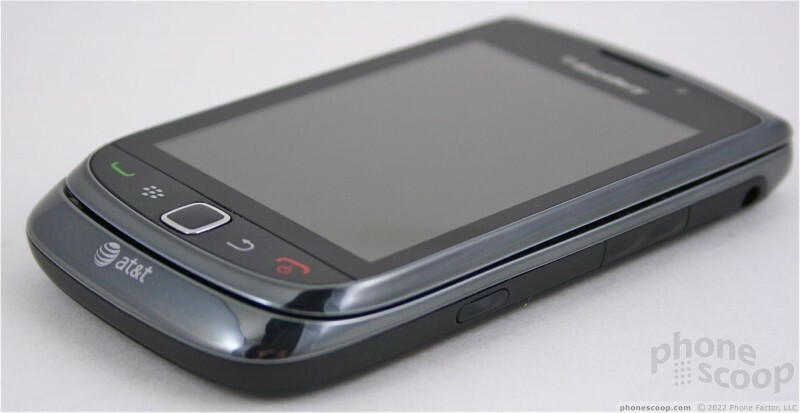 The lock and silence buttons are placed on the top edge of the Torch, similar to where they are found on devices such as the BlackBerry Bold. There's no physical indicator for these two buttons. The lock button is close to the left edge and the silence button is close to the right edge. Press anywhere in either corner and you'll probably find the button. Travel and feedback were good. The Torch is a vertical slider, and has a full, physical QWERTY keyboard. The slider mechanism itself feels strong and solid, but I don't like the way it works. The top and bottom pieces of the Torch are flush, with the two pieces forming a curved edge. There's no ledge or catch, or anything concrete for your thumb to grab hold of when sliding the Torch open. If you have fat thumbs, it is all too easy to accidentally interact with the track pad or other controls at the bottom of the display. Sure, you can press the screen itself, but opening the Torch turns on the screen and you can accidentally activate apps or controls. The Torch's slider is not the best I've interacted with. How does the keyboard fare? I like it. 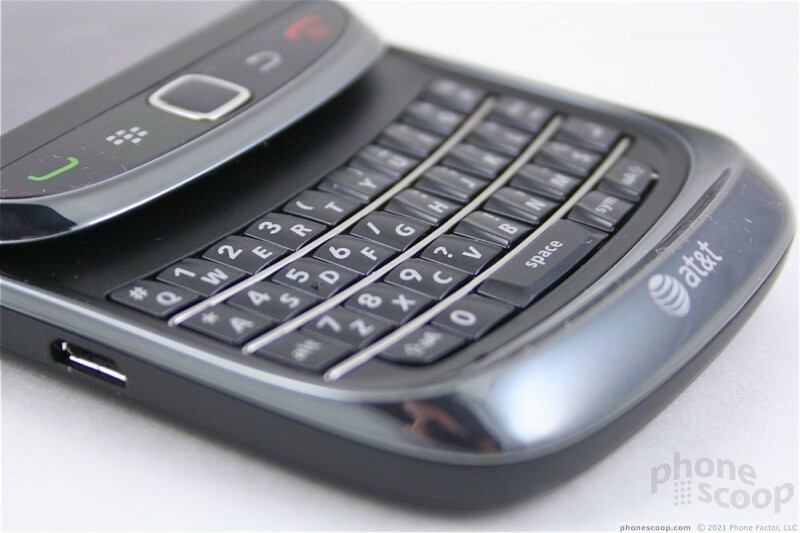 The buttons are similar to those seen on the Bold 9700 and 9650. They have a scalloped shape that makes them easy to find. Travel and feedback is good. About the only thing that bothers me is button choice. There are no dedicated buttons for things such as "www" or ".com" for example. The Torch also forgoes a dedicated period button. Sure, RIM has the double-tap spacebar trick that places a period and a space at the end of a sentence, but what about when you're typing web addresses? Constantly using the ALT key to reach the period and "@" symbol get frustrating after a while. RIM could learn a thing or two from AT&T's Quick Messaging Devices. The slot for the memory card is located under the battery cover. The cover comes off with no problems, and the card can be swapped out without powering down the Torch.